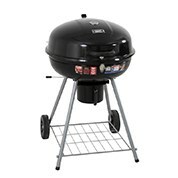 Shop online at MyDeal Australia for a variety of barbeque grills on sale, prices and accessories. 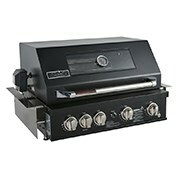 Our range includes both electric and gas bbqs from leading brands Sunbeam, Coleman, Gasmate, GRILLPRO and more. 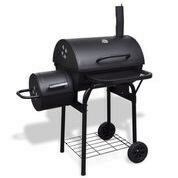 We sell portable models in a variety of sizes from small to large for the outdoor area. We sell small carry size units with non-stick surfaces which are perfect for camping or the kitchen. Enjoy alfresco dining this summer with a product from this range and create the ultimate outdoor kitchen. Our range includes many classic and modern designs such as stainless steel for those who wish to enhance their outdoor living space. 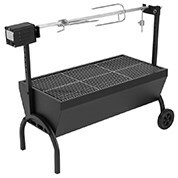 Find tools which provide assistance such as tongs, lights, thermometers, and skewers. Furthermore, we have essentials to maintain and operate the appliance. Find scrapers and scrubbers which help remove dirt from your product. 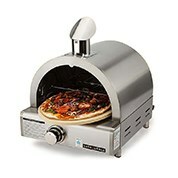 The range includes products such as a spits, smoker boxes and cooking rings. The best aspect of this range is the affordability of all our products. We have selected high quality products and reduced prices below market price. We care about affordability for all Australians whether you are a family, looking to give a present or just love to cook up a storm. 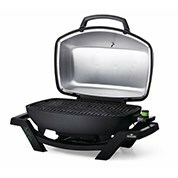 A portable grill is a must have appliance for your kitchen or outdoor living area. Cords are an unnecessary feature which cause mess and consume space. Portable styles are easy to transport, enabling you to take them anywhere! While you are relaxing and having a blast outside, you can also keep an eye on your house and surroundings everywhere else with a home security surveillance system from our range today for true peace of mind. Are you curious about our Outdoor Living Range? If you have any shipping questions please check our FAQs or if you have any product questions please contact us through our online form.